Home / News, Politics / RAILA ODINGA Jnr wants UHURU/ RUTO’s Government to legalise marijuana - It is a holy herb that has a lot of health benefits!! RAILA ODINGA Jnr wants UHURU/ RUTO’s Government to legalise marijuana - It is a holy herb that has a lot of health benefits!! 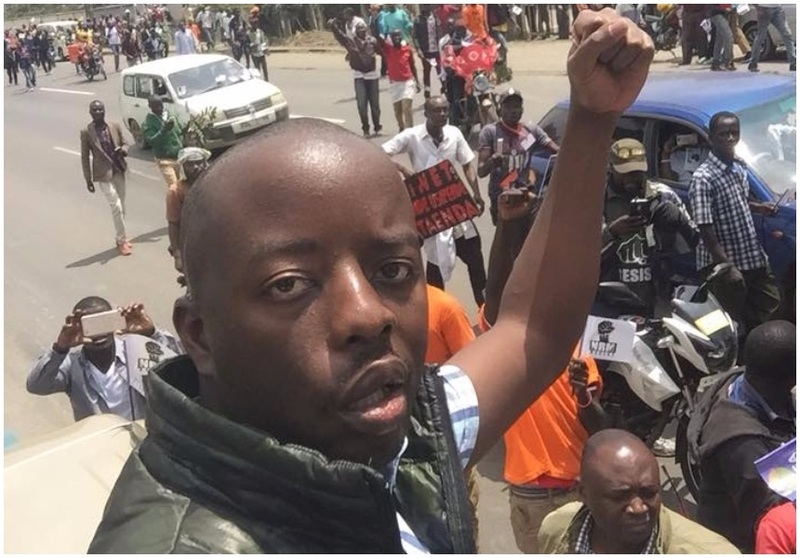 Thursday September 13, 2018 - National Super Alliance (NASA) leader, Raila Odinga’s son, Junior, has called on the Government to legalize cannabis sativa (Bhang). Sharing his thoughts on social media on Wednesday, Junior called for serious discussions on the legalization and control of cannabis sativa. Junior quoted a story of a middle-aged man, Njoroge Mbugua, who was arrested by police in Mirithu village, Limuru, after he was found to have planted bhang. “Serious discussion has to be held on the legalization and control of cannabis sativa, and entrepreneurs like Mr Mbugua in their business and religious conquests #LegalizeIt” Raila tweeted. Junior now joins a list of Kenyans who have petitioned the Government to legalise Ganja since it is a holy herb. Last month NASA strategist, David Ndii, also asked the Government to legalise weed because it doesn’t harm like cigarettes. “Is it perhaps because, as I opined in the Twitter debate, tobacco is a big global capitalist enterprise, but everyone can roll their own joint?” Ndii asked. that's why some sibling of politicians are naturally zombie as this one talking trash. KENYANS MUST UPROOT POISONOUS COFFEE,TOBACCO & TEA AND PLANT GRAPES INSTEAD. PROFITS ARE TEN TIMES HIGHER AND MARKET HAS BEEN GOOD SINCE DAYS OF NOAH!!!!!!!!!! MKOLONI ALITUCHEZEA.